Our latest Insider has been involved in philanthropy for close to 20 years with a professional career that includes experience in community development, public policy and advocacy, and public service. Sherece Y. West-Scantlebury, Ph.D. is president and CEO of the Winthrop Rockefeller Foundation, a private, independent foundation whose mission is to improve the lives of all Arkansans in three interrelated areas: economic development; education; and economic, racial and social justice. In addition to running the Winthrop Rockefeller Foundation, Dr. West is active in a number of nonprofits and philanthropy organizations, such as Grantmakers for Children, Youth and Families, NAACP Special Contribution Fund, National Committee for Responsive Philanthropy and serving as a board member for the Association of Black Foundation Executives. 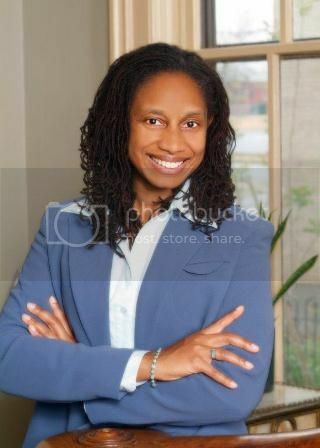 She was recently named one of 17 top black charity leaders by TheRoot.com. Dr. West shared with BlackGivesBack how she got her start in philanthropy, provides advice for those pursuing a career in the field as well as those presently working in the sector, and three things needed to prepare more people of color to make an impact in philanthropy. I got my start in philanthropy by answering an ad in City Limits magazine for a program associate for the Rebuilding Communities Initiative (RCI) at the Annie E. Casey Foundation (AECF). RCI was a multi-site, multi-year comprehensive community initiative. I applied for the position because it was aligned with my personal mission to promote values and principles that help ensure that all citizens - regardless of class standing, religious preference, political beliefs, or other factors that place them in a marginalized status - have voice and influence in a sustained democracy and civil society. I did not apply because it was a job in philanthropy. After co-leading the Rebuilding Communities Initiative and similar grantmaking strategies at AECF, I began to appreciate philanthropy’s role in civil society. We supported the ability of those in need and closest to the challenges to play a powerful role in crafting and carrying out solutions to rebuild their communities. We provided resources for civic engagement, policy advocacy, and community organizing so organizations working with and on behalf of marginalized communities could participate effectively in public policy development. AECF was a terrific place to work and RCI was the best experience for me. With that appreciation and understanding, my career is a series of opportunities and choices within philanthropy to get me closer to fulfilling my own mission. What is needed to prepare more people of color to make an impact in the field of philanthropy? Be mission-driven – Race persists as a significant barrier to social inclusion and to achieving equity in the U.S. We need people of color to be change agents in philanthropy. People of color who want to make an impact in the field of philanthropy must have the conviction to promote equity, opportunity, and justice. People of color have to be intentional and proactive in elevating people and communities of color in their grantmaking to benefit society and strengthen our democracy. Being mission-driven helps you become a change agent within philanthropy. Understand the constructs of structural and institutional racism and power in the U.S. – Race and power have shaped every major economic and social institution throughout U.S. history. Structural racism is still rampant today and remains embedded in every institution, school, and system in society, especially in areas with high levels of segregation. We need to understand the role of race and power as well as the cumulative effects of racialization in order to effectively change systems. I strongly believe we can achieve fundamental and system levels of change in the U.S. We need to understand (1) how and why the systems were created, (2) how and why inequality and disparities persist, and (3) how to implement grantmaking strategies that dismantle inequities and recreate systems that support everyone. Be flexible and open to where you work in philanthropy – Our country needs the experiences, talent, skills, and expertise of people of color everywhere. Focus on growth and opportunities to do great work. Pursue the work, creativity, and innovation regardless of where it may be in the country. As a board member for the Association of Black Foundation Executives (ABFE), can you share about the importance of their work and why it is needed? In the field of philanthropy, it is important to have ABFE as the primary organization that is intentional about dismantling structural and institutional racism. ABFE provides the opportunity for Black foundation executives to call to question who we are, what we seek to accomplish, and how we can use our collective resources to change systems, institutional practices, policies, and outcomes in Black communities. Further, ABFE is the place where we create the pipeline of Black leaders in philanthropy to promote and achieve diversity within the field. ABFE serves as a philanthropic champion for investments in Black people and communities and provides members with ongoing access, training, tools, and support to help them increase their investment, influence, and impact. ABFE unites ideas, knowledge, money, and action to create lasting social change for Black people, families, and communities. What kind of coaching and mentoring do you think a seasoned grant maker can provide those engaged in collective giving in the Black community? Seasoned grantmakers can coach those engaged in collective giving on developing a business model for the Fund. The current collective giving model is problematic because it relies on fundraising from donors who want an immediate charitable outcome. This way of doing charity may not be sustainable. Seasoned grantmakers can coach those engaged in collective giving on developing a model where donors agree to invest a percentage of dollars raised to build its corpus and do modest charitable giving initially. The goal is to have the funds become institutions in their communities. Investment management and growing the corpus through a sound business plan institutionalizes community giving funds. Many seasoned grantmakers have experience with growing their corpus through strategic investment management. What advice do you have for those pursuing a career in philanthropy; and for those already working in the field? Pursuing a career – I have observed many wanting to get into philanthropy because of the power and prestige that is perceived to come with grantmaking. It is easy to get distracted by all that comes with a career in philanthropy. Focus on your professional and personal growth and what matters most to you. This is hard work and requires dedication and commitment. Be clear about the difference you want to make and make it. It will not be easy. There will not be a straight line to the social change you hope to impact. There are competing ideologies and limited resources. There will be differing opinions and philosophies. There is a power dynamic endemic in philanthropy. There are times when you may have to fight and push and times when you may have to be patient. You must be clear about your mission and purpose. Understand structural and institutional racism and do a power analysis. Be determined to contribute positively and make a difference in people, families, and communities. In the field – We have to remind ourselves we are here to serve and pursue the social change goals of our institutions. Grantmakers have a responsibility to listen to the needs, concerns, and criticisms of their nonprofit partners and respond to what they hear. They need to trust that nonprofit leaders possess deep wisdom about what they need to most effectively achieve their missions and address critical societal needs. Grantmakers should also seek other forms of data about how grantmaking practices impact nonprofit effectiveness, and they should regularly adjust their approach to maximize the impact of their philanthropy. Have the conviction to make a difference. Improving the lives of vulnerable children and families is my mission. I am committed to learning what I need to do to be effective to fulfill my mission. Pursuing my mission sustains me. I pursue opportunities that matter most to me, contribute to my growth, and move me closer to fulfilling my mission. Learn more about the Winthrop Rockefeller Foundation at www.wrfoundation.org.